Alluring though the typical romantic destinations of Paris and New York are, there is a lot to be said for venturing beyond the ordinary and finding romance in unfamiliar places. We give you our pick of the most unexpectedly romantic places in the world, from the majestic wilderness of Alaska to the deserts of Namibia. Explore the destinations that have won over our hearts. 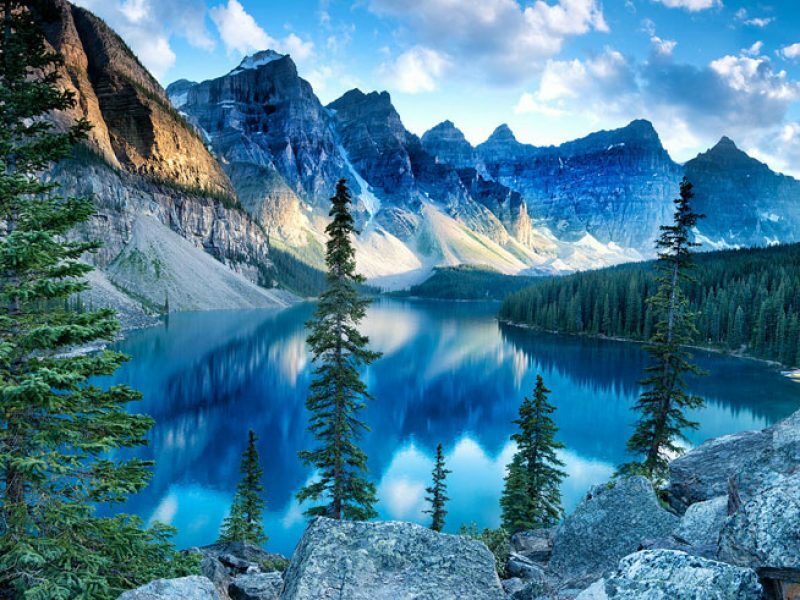 Canada is home to a boundless array of landscapes, including a world-famous waterfall, forty national parks and one of the world’s biggest mountain ranges. It also boasts a range of wonderfully diverse cultures from its major cities like Vancouver, Toronto and French-speaking Montreal to its remote Celtic-influenced villages along the Atlantic coast. Discover the World’s choice of Canada holidays means that you can go it alone on a self-drive holiday or join one of the many escorted tours available. Visit a symbolic Totem Pole created by the indigenous peoples of Canada’s northwest coast. Monumental and celebrated, these carved pieces of aboriginal art are simply majestic, and offer fascinating insight into Canada’s indigenous roots. Experience the Canadian Rockies on-board the acclaimed Rocky Mountaineer railway and encounter some of world’s most spectacular scenery, including Maligne Lake and its deep forests and glacial peaks. Try out the authentic tradition of relaxing in the steamy natural spring water of the Banff Upper Hot Springs, whilst soaking up the scenic surroundings. Venture along the Pacific Coast and admire the coastal landscapes and scenic views from the Sea to Sky Highway. Take in the wildlife-rich habitat of Vancouver Island and the Pacific Rim National Park, where you can catch sightings of magnificent gray whales and killer whales on the Clayoquot Sound. Step into the real wild and experience Alaska – America’s largest state with an average population of one person per square mile. Known for the idyllic images it conjures of salmon fishing, grizzly bears, moose and untouched natural beauty, the real-life picture lives up to the expectations. Discover the World’s self-drive holidays are a great way to experience Alaska without enduring its harsher climes or hiking to mountain summits. The sheer vastness, tranquility and scenery that make up Alaska are undeniably romantic. Visit the Denali National Park with its unsullied parkland, majestic wildlife and snow-capped peaks. See grizzly bears, moose, caribou or wolves. Take a scenic flight into Glacier Bay National Park to see its deep fjords and catch views of whales, bears and seals. Jump aboard the Alaskan Railroad that journeys to the Kenai Peninsula, with its spectacular Kenai Fjords National Park, as well as the cities of Anchorage and Fairbanks. 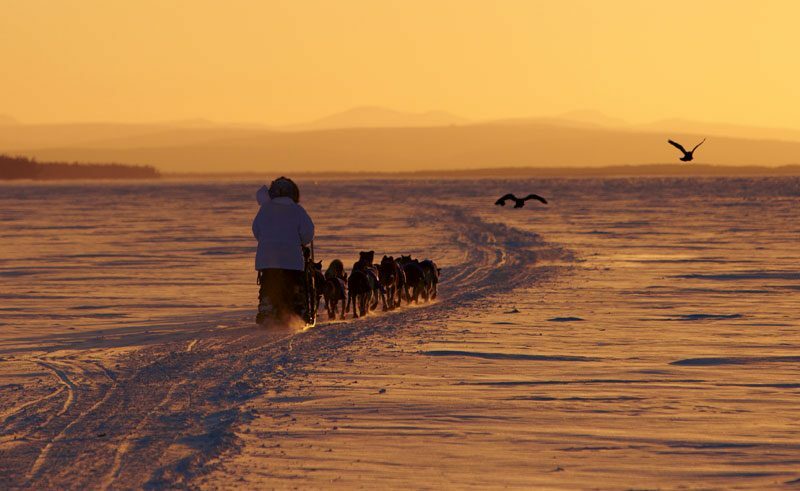 Soak up the atmosphere of the legendary Iditarod Trail Sled Dog Race. Kayak around Alaska’s most pristine location, Fox Island. Join a guided tour around Utqiagvik and witness the customs of the native culture of the Inupiat Heritage Centre. You can even take part in local music and dances. Even in the stunning cinematography of Lord of the Rings, the medium of film just doesn’t seem to do New Zealand justice. Located in the southwest Pacific, New Zealand is made up of two separate islands – the North Island and the South Island. A mountain range runs through the centre of the North Island and at its centre is an active volcano. The South Island is dominated by the Southern Alps and is a popular spot for mountaineering and heli-hike trips to see the jaw-dropping glaciers. 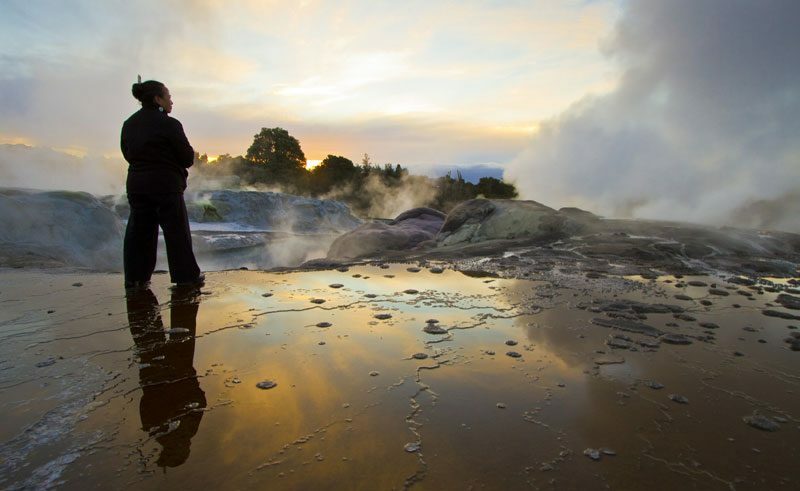 Visit Rotorua and soak up the geothermal atmosphere in its hot springs and bubbling mud pools. Experience Maori culture including the traditional Hangi method of cooking with hot stones in a pit oven. Be whisked up in a helicopter and witness magnificent panoramic views of the landscape below and some of the world’s most pristine glaciers. Jump aboard one of the many tours in Kaikoura, offering New Zealand’s ultimate marine experience with giant sperm whales, killer whales, dolphins and even the endangered yellow-eyed penguin. Visit Fiordland National Park to see mesmerising waterfalls, mountains and rainforests. Not only is Namibia renowned for its remarkable wildlife, endless savannah and nature reserves, its Sub-Saharan coastline and deserts are some of the most photographed in the world. A land of contrasts and vibrant colour, Namibia’s largely barren landscape is simply mesmerising. And despite its colonial past, Namibia’s traditional culture remains strong, with several indigenous traditions and cultures being practiced around the country. Visit Etosha National Park and spot elephants, rhinos, lions and buffalos. 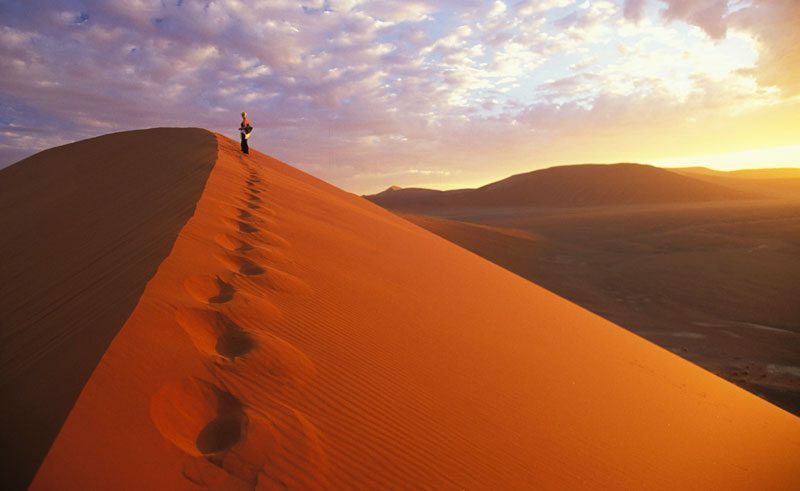 Explore the sand dunes of Sossusvlei in the soft light of the early hours. Explore the startlingly beautiful Fish River Canyon, the largest canyon in the southern hemisphere. Take a trip to the historic village of Aus, where you can experience wild horses roaming the plains of the Namib Desert. Experience the UNESCO World Heritage Site of Twyfelfontein, with remarkable bushman paintings and rock engravings that date back 6000 years. Go off the beaten track to the remote northwestern reaches of Kaokoland and learn about the culture and traditions of the indigenous Himba people. Record numbers of tourists have been visiting the small island of Iceland in recent months, in particular its capital city, Reykjavik. As the world’s leading operator to Iceland, we can show you plenty of Icelandic places less travelled that are just as spectacular as the capital and more than worth the venture. Stop off at the rural town of Borgarfjordur. Set apart from the light pollution of the capital, it is the perfect spot to catch a sighting of the northern lights. Enjoy a romantic dinner at the stylish Hotel Husafell, with its floor to ceiling windows giving phenomenal views. Explore Iceland’s second largest icecap, Langjokull, by snow truck and join a guided walk deep into the glacier (exclusively offered by Discover the World). 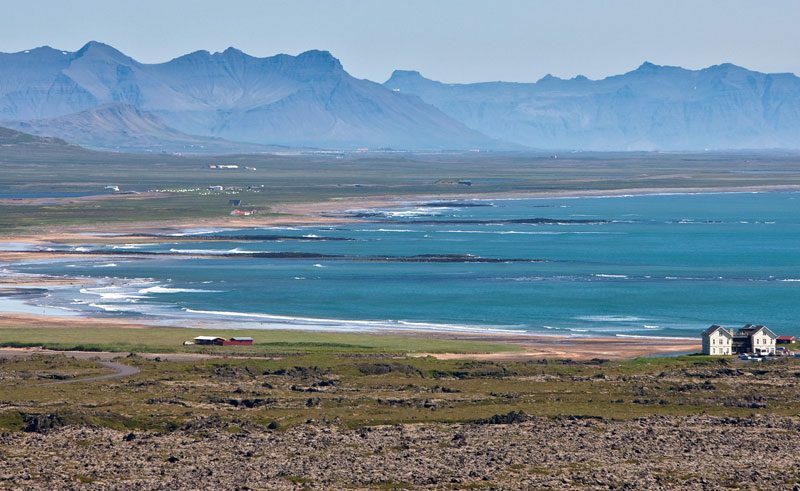 Adventure across the Snaefellsnes Peninsula, where you can wander among the coastal formations at Arnarstapi and pass the mystical West Fjords with golden and pink beaches that make up the least-visited corner of Iceland. Contact one of our dedicated Travel Specialists to plan your romantic hideaway, or ignite your wanderlust further with one of our travel brochures.